This circa 1840 country inn on five acres in the Green Mountains of Central Vermont offers the charm of a family-run inn with top quality service levels that have earned high ratings with TripAdvisor! Featured in Vermont Living this full service bed and breakfast country inn is just 5 minutes from Pico ski area and 10 minutes from both Killington Ski Resort and the downtown Rutland. 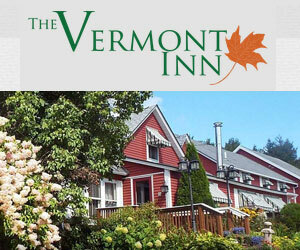 The Vermont Inn is also located just 30 minutes from Okemo Mountain Resort making it an ideal location to ski Vermont. Inn guests begin each day with a full country breakfast. A highly recommended historic Vermont Inn. Ask us about Killington reservations or lodging questions. If you would like to add your Killington Vermont Country Inn, Lodge or Bed Breakfast Inn to this web site, please contact us.